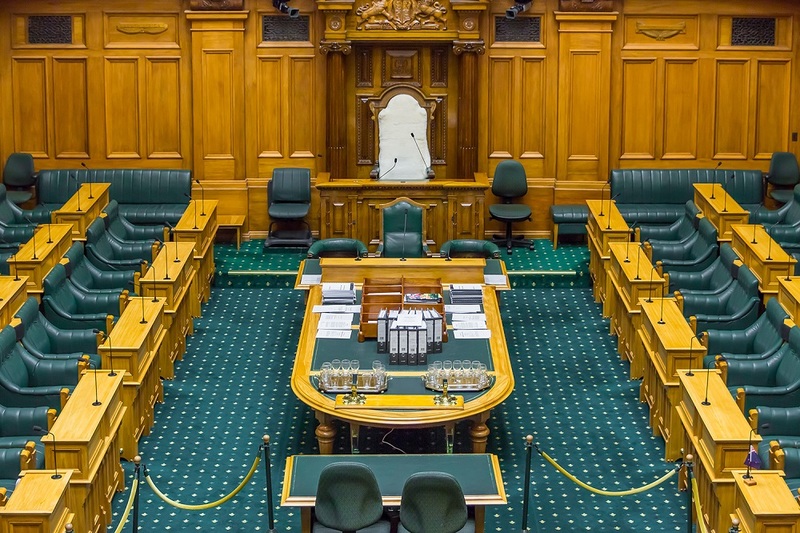 There is a popular misconception that the apparently clubby nature of Parliament means that all MPs, in Government or Opposition, have pretty much the same access to information. That has never been the case, even since the introduction of MMP. The Government of the day not only holds power, but also controls access to information. While there have been some improvements over the years - the Public Finance Act and the Fiscal Responsibility Act have made the state of the Government's finances more transparent, and the overall annual Budget process more open and predictable - the control of official information remains overwhelmingly under the control of the Government of the day. And, as information is power, they regard access to it jealously. All of which leaves Oppositions at a massive disadvantage. When parties first leave office, their outgoing Ministers have a huge, immediate advantage over their successors in that they have all the information about what has been going on to that point. But that advantage is temporary - usually, former Ministers' information loses its currency after about six to nine months as the new Ministers get their feet more fully under the table, and start to take control of their portfolios. That reality will have hit the National Party a few months ago. Its information channels will have dried up, and will not be refilled until they next win office, or the few months beforehand when their win seems likely, and sympathetic officials start quietly slipping information their way. So, as with all Oppositions, National now has to start doing it alone, without the power of the Government bureaucracy to answer their queries or provide specialist advice. That is where the current controversy about the numbers of Written Parliamentary Questions becomes relevant. Parliamentary Questions, carefully crafted and camouflaged to disguise their true intent, coupled with a judicious use of the Official Information Act, are the primary weapons of an Opposition to get the answers it needs to do its day to day job of holding the Government to account, as well as the information it needs in the development of its next election policy. It is a time-honoured tactic, making Labour‘s criticism of it a little hypocritical. Moreover, as the largest Opposition ever, it is not unreasonable that National should be asking more questions than ever before. Yes, the process is time consuming for the public servants who have to prepare the answers for Ministers’ consideration, and it is tedious for Ministers to have to spend several hours each week poring over the replies before approving them and signing them off. But, by definition, it is not the Opposition’s job to be helpful to the Government. Besides, every now and then Parliamentary Questions strike gold. This year, it was the Questions process that brought Clare Curran’s Ministerial career to a close. Discrepancies in Written Questions replies caught out Shane Jones and his failure to disclose 61 meetings, and the ongoing skewering of Iain Lees- Galloway is largely because of the inadequacy of his answers to Parliamentary Questions. Parliamentary systems of government, where the Executive is part of the legislature, as opposed to systems of government where the Executive is separate from the legislature (like the United States, for example) tend to be winner-take-all systems. Governments govern and Oppositions are largely bystanders. But, a Parliamentary system also means Governments are more directly accountable to the legislature and can be changed by changing the composition of the legislature at an election, as opposed to again, say, the United States where both Houses of Congress can be controlled by one Party, while the President in whom Executive power resides, can be from another Party and still retain power. The immediacy of our Parliamentary system means Governments will always seek to control the flow of information as much as possible to protect their situation, and that Oppositions will always seek every opportunity they can to obtain the information they want. To pretend otherwise, and to complain when they do so, is as churlish as it is woefully naive. Jong Kee has farted in the elevator along side his fellow MPs and exited on the 8th floor where the ANZ boardroom is located. The National MPs have smelt the roses and gladly exited on the 9th floor lobby smirking as the lift door closes on Labour locking them in for three years with John Key's roses and the smelly Greens. At the top of the lift shaft there is no motor, not even a wind or bicycle powered motor; In fact the only thing holding up the lift is a rope made of fake immigration documents pulled on by a very large mob of low wage chefs. I bet the Nats are happy to sleep this one out. When the lift comes falling down they get to blame Labour for it. I heard it was Labour’s fault there was a GFC. As Mr Dunne attests it is vital for all of us we have a robust and effective opposition in parliament. We have had some great leaders of the opposition in my time. Holyoake, Kirk, Muldoon, Lange and of late in Clark and Key sort of. Believe during National’s last time in office the ineffectual opposition did none of us any good. National was given too much rope. In part they themselves are paying for that now. How ironic politics can be. a numbers game.. pontificate and wax lyrical all you want... at the end of the select committee process its all hyperbole .. for effective opposition we need more independence and less party sheep. Good luck iwith that n a westminster parliament. Parliamentary questions are important and should be used as questions, to hold a government to account. Correct. Also when a Government has poor quality interactions with experts outside of Government when they are in power, then those experts are unlikely to offer them any help when they are in opposition. While I do not like a number of things the current Government has done I'm not particularly motivated to talk to anyone in the National Party.